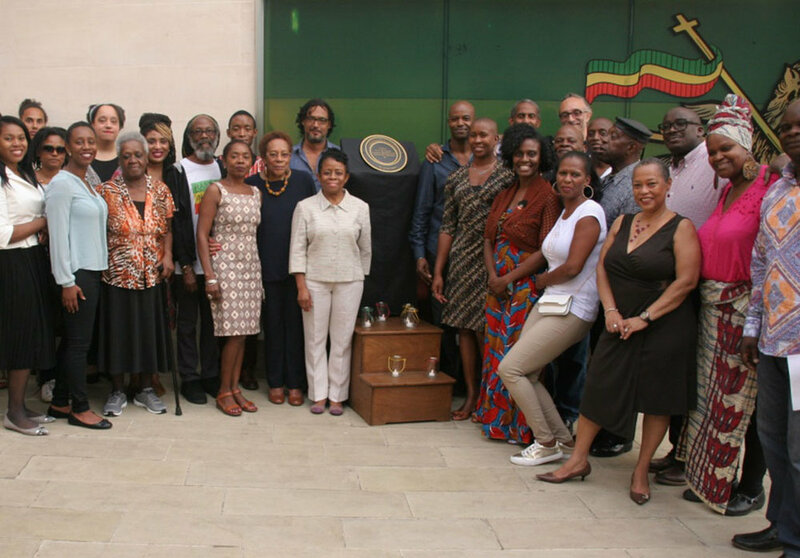 Established in 1981 and situated in its iconic building in Brixton’s Windrush Square since 2014, Black Cultural Archives (BCA) is the only national repository of Black history and culture in the UK. We are a public institution open to everyone. Our unparalleled and growing archive collection offers insight into the history of people of African and Caribbean descent in Britain. Our work recognises the importance of untold stories and providing a platform to encourage enquiry and dialogue. We place people and their historical accounts at the heart of everything we do. Black Cultural Archives is a national institution dedicated to collecting, preserving and celebrating the histories of diverse people of African and Caribbean descent in Britain. Using our unique collection, we promote the teaching, learning and understanding of the African people’s contribution, which enables the public to learn and connect with hidden histories, creating an experience to uplift and inspire. This is achieved through our exhibitions, public programmes and events. Our growing collection of original archives constitute a permanent record of the richness of the Black experience in Britain and is accessible to all. Our new heritage centre is located on Windrush Square, in the heart of Brixton. Steeped in history, Windrush Square is historically named after the SS Empire Windrush, which docked in Tilbury in 1948 carrying her passengers on their pioneering journey from Jamaica to Britain. We have transformed Raleigh Hall, a Grade II listed Georgian building in central Brixton, into a space dedicated to preserving and celebrating Black heritage in Britain. The £7-million capital project restored aspects of the building’s original historic features, in addition to a newly designed annexe to create a purpose-built archive and heritage centre accessible to the public. We have received tremendous support from the Heritage Lottery Fund, the London Borough of Lambeth, the Mayor of London and the Biffa Award to complete this capital project, and from all our funders and supporters who help us continue our work. With thanks to the generous and continued support from our funders. We work in collaboration with other cultural organisations and businesses, large or small, national or international, to bring historical accuracy to important projects. Through partnership, we have been able to champion a more accurate vision of history across every cultural touch-point at our disposal. We have collaborated with a large number of organisations to produce a variety exhibitions, events and learning resources. We also continue to expand our collection through the donation of oral histories and archive materials. Some of our previous partnerships include the V&A, Google Cultural Institute, Photofusion – UK Black Panther movement, Zimbabwe Association 12 Year Project, Paddington Arts – Elimu Carnival band, Lambeth School Cluster Project – The Other Georgians and the Black Dance Archives with National Resource Centre for Dance, University of Leeds, and State of Emergency. If you are interested in discussing a partnership or project with us, please complete a project submission form and email our Visitor Services team reception@bcaheritage.org.uk.We are currently no longer accepting partnership projects for 2017. We are open to partnership from late 2018 onwards. We meet quarterly to discuss any new projects/partnerships, so please allow time for a reply. Are you planning a conference, a company away day, a book or product launch, a community workshop or a very special celebration? Why not use the venue space in Black Cultural Archive’s beautiful Grade II listed building on Brixton’s iconic Windrush Square? Depending on the time and the day, you can choose our Learning Centre, Board Room, Café and Courtyard or take over the entire building. With capacity from 10 to over 150, BCA is an ideal space for a meeting or a reception. We offer Technical and AV support with projects, screens and PA systems as well as WIFI connectivity. Catering is provided by our licensed Café and we can offer a bespoke catering service from our roster of highly recommended chefs. We can do everything from a simple sandwich lunch for a staff meeting to a children’s birthday party or a 6 course wedding reception for 100 guests. To book your event, send your enquiry to roomhires@bcaheritage.org.uk. You will receive a reply from us within 24 hours. Are you an artisan or a retail entrepreneur who celebrates African and Caribbean culture, heritage or history? Why not take advantage of Black Cultural Archive’s iconic heritage centre in Brixton’s Windrush Square to showcase your work. BCA’s shop, strategically located at the entrance of this beautiful building, would be a perfect backdrop for you and your brand. We are inviting applications for a 1 day for £50/day (ex VAT) or 1 week (5 days from Tuesday to Saturday) pop up residency for £200/week (ex VAT) in our 22sqm shop. The shop primarily features books but there is also a limited amount of jewellery and BCA merchandise on sale. Pop up vendors will have a 7sqm location in front of the shop’s attractive arched windows. There is a café and toilet facilities for customers. You must bring your own stand/table and point of sale materials as well as conduct your own sales and marketing effort. BCA may provide social media promotional support and include mention of your pop up in their digital marketing if your residency coincides with our marketing schedule. Black Cultural Archives is grateful for the generous support of all our funders. Black Cultural Archives is a charity (no. 1051087) and a limited company (no. 03113148) registered as The African Peoples’ Historical Monument Foundation. Its governing body is the Board of Trustees of the African Peoples’ Historical Monument Foundation.